Slow proofed. Hand rolled and topped with only the best ingredients. Made by Massimo. He’s Italian right?! 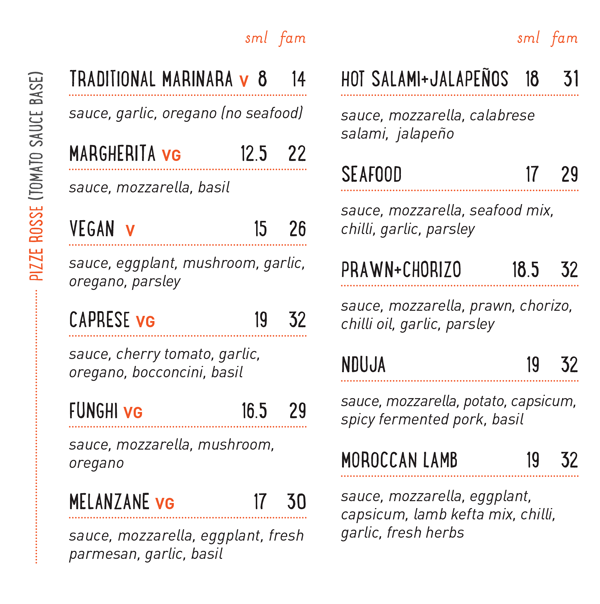 Massimo’s Place in Denmark is famous for its wholesome and delicious pizza! Combining modern techniques with traditional Italian methods, Massimo displays his passion and talent for cooking, which began at a very young age in Rome, preparing meals with his mother. His style developed over the years he worked as a chef in London, Spain and Italy. Using Bio-dynamic flour from Eden Valley Mill, he mixes the dough, portions and shapes it by hand then chills it for 24 to 72 hours. This maturation process is vital to develop the fragrant flavor and fine texture. 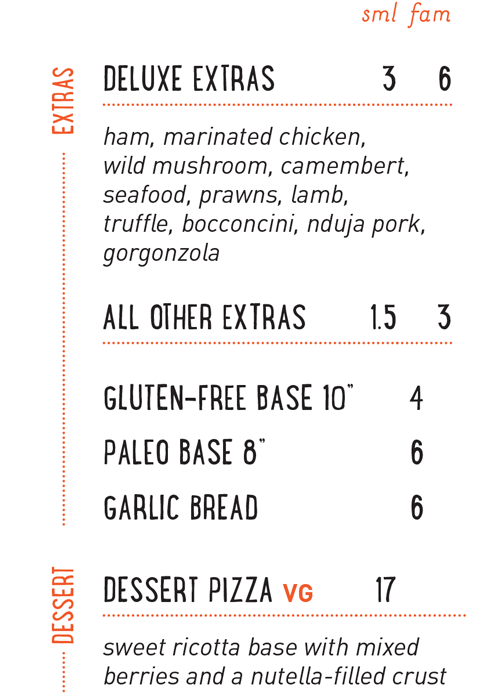 Complex proteins, carbohydrates and fats are broken down into simpler molecules making the pizza easier to digest. 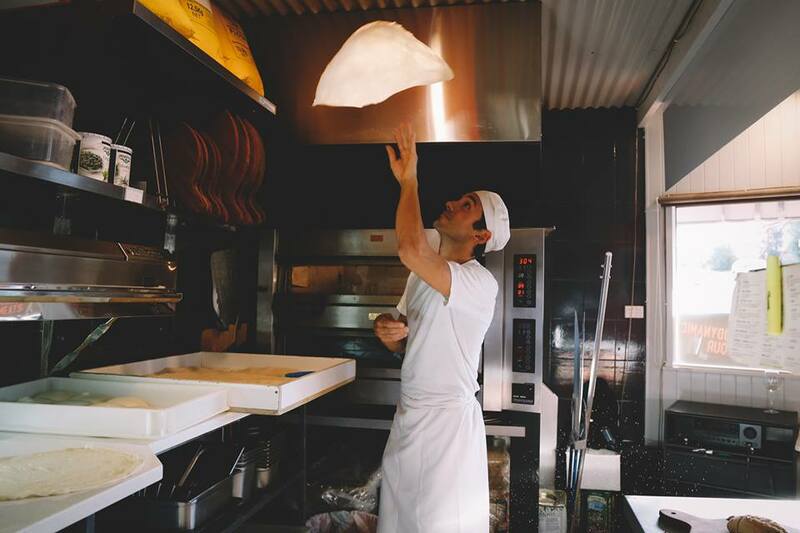 Following this, the dough is proofed, hand rolled, topped and baked on a refractory stone in our high-end pizza oven at over 300 degrees, allowing juiciness and crispiness to co-exist. 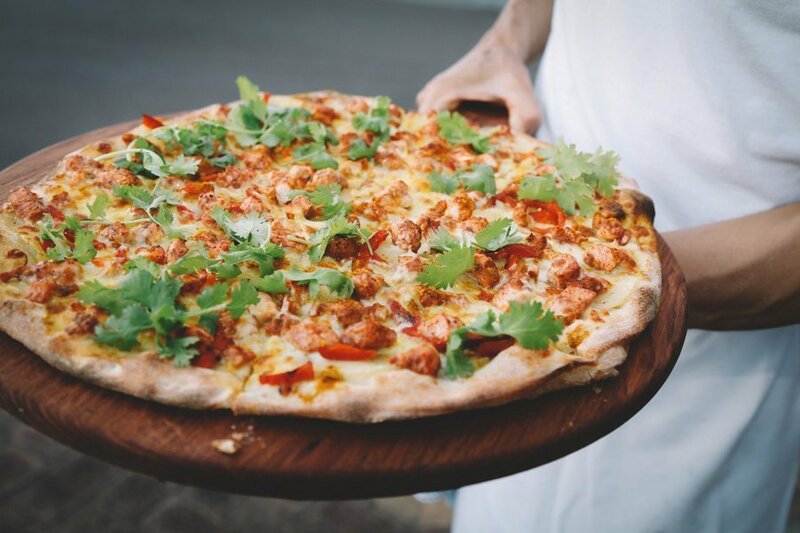 Toppings such as locally made camembert cheese and carefully sourced high quality ingredients combine to make Massimo’s pizzas a culinary masterpiece. Massimo, his partner Kirsten and their staff have created a welcoming atmosphere in their cosy corner shop. 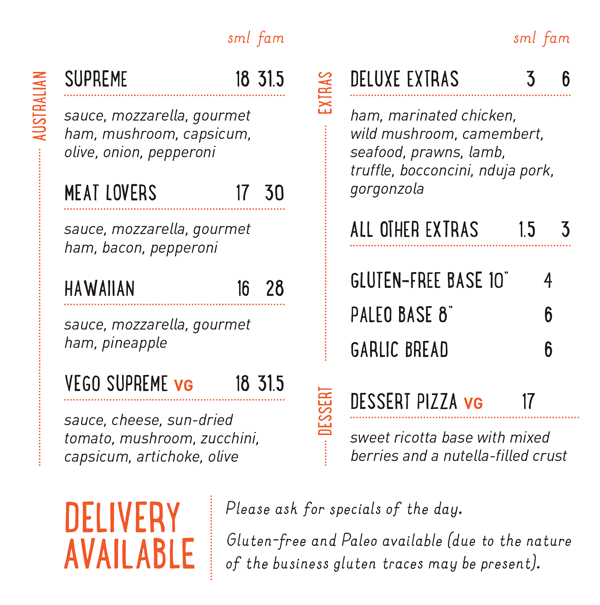 You can enjoy your pizza on the back deck, survey the passing parade from the locally made timber benches on Strickland Street, or take away to eat at home. 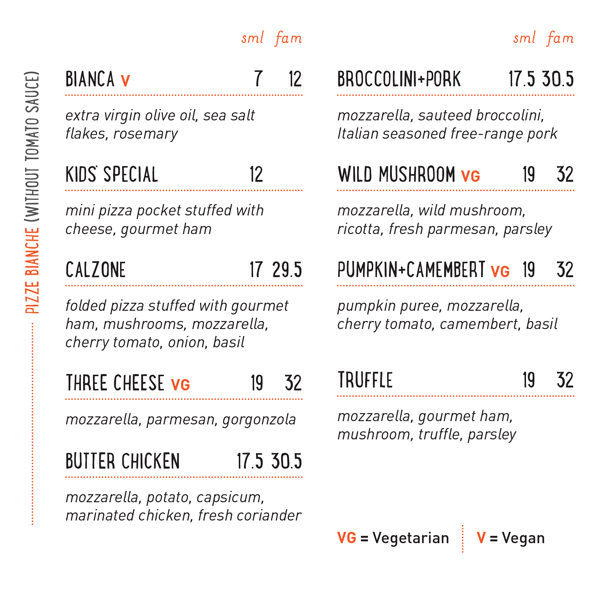 Massimo Rinaldi is a passionate man; his smile, positivity and zest for life shine through in these delicious artisan pizzas. 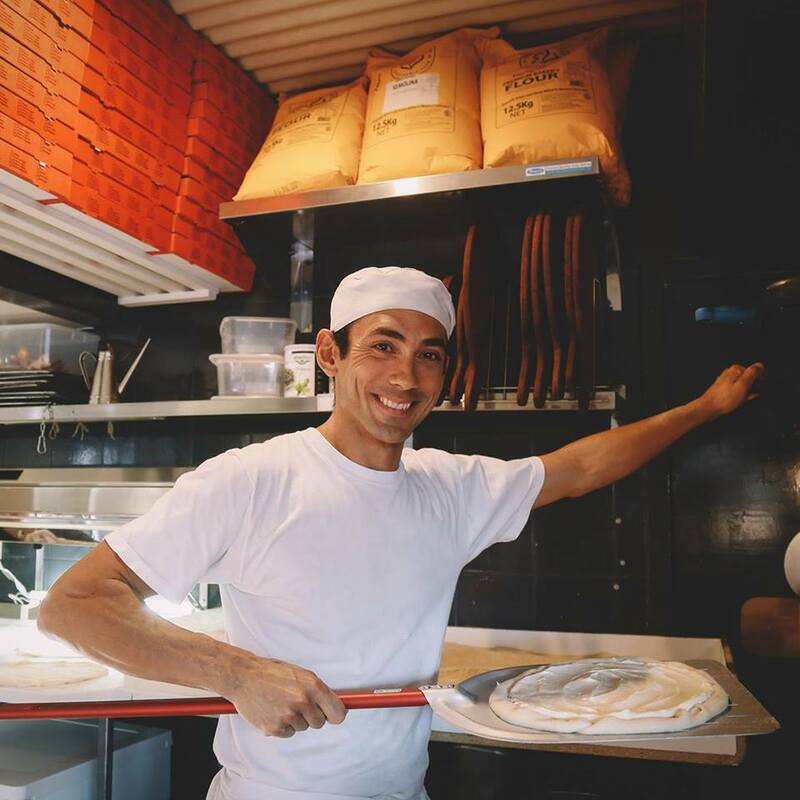 He worked tirelessly to perfect his signature pizza base; experimenting with different flours and blends from around the world. To create a true masterpiece however, the base deserved only the finest and ethically-sourced toppings. After working internationally as a chef in top restaurants, Massimo brings his culinary expertise and flair to Denmark. Using Bio-dynamic flour from Eden Valley Mill, he mixes the dough, portions and shapes it by hand then chills it for 24 to 72 hours. This maturation process is vital to develop the fragrant flavor and fine texture. 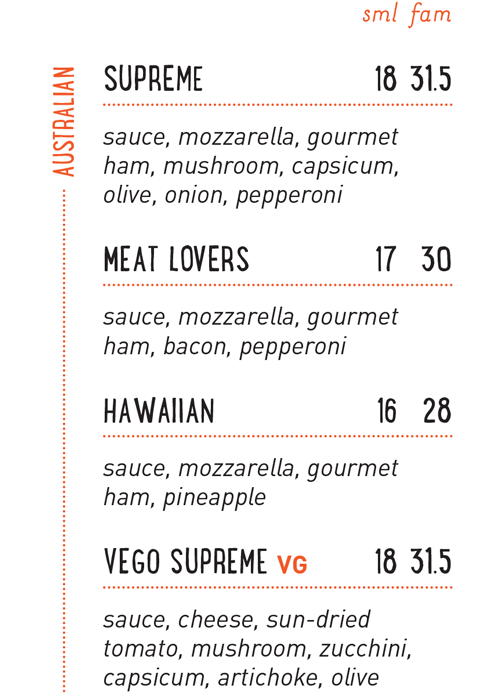 Complex proteins, carbohydrates and fats are broken down into simpler molecules making the pizza easier to digest. Massimo, his partner Kirsten and their staff have created a welcoming atmosphere in their cosy corner shop. 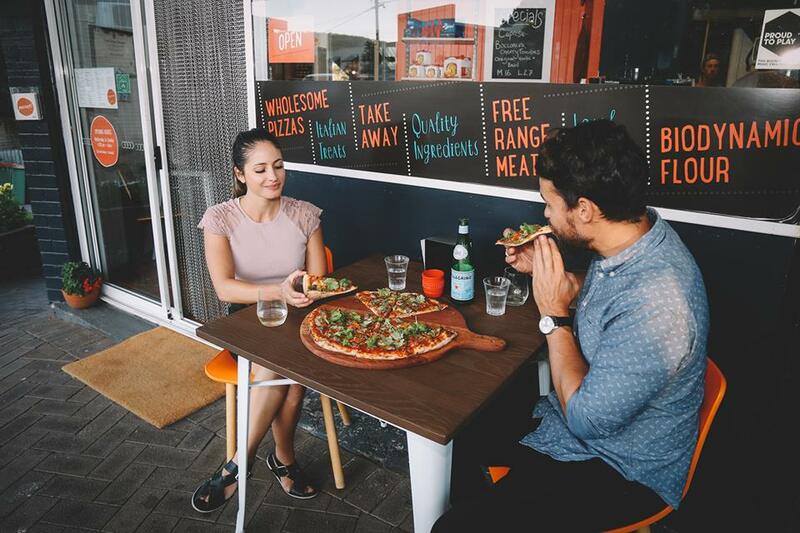 You can enjoy your pizza on the back deck, survey the passing parade from the locally made timber benches on Strickland Street, or take away to eat at home. 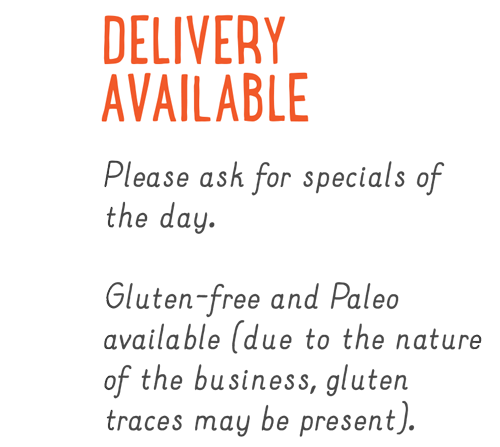 Free delivery is also available! Massimo Rinaldi is a passionate man; his smile, positivity and zest for life shine through in these delicious artisan pizzas.He worked tirelessly to perfect his signature pizza base; experimenting with different flours and blends from around the world.To create a true masterpiece however, the base deserved only the finest and ethically-sourced toppings. After working internationally as a chef in top restaurants, Massimo brings his culinary expertise and flair to Denmark.